Staying focused and on-task is something everyone struggles with from time to time. Finding the motivation to finish a long essay or take care of long-overdue chores can seem near impossible. Thankfully, there are numerous safe, natural nootropics on the market to sharpen your mind and improve your concentration. Don’t let the name fool you; nootropics aren’t new and despite common misconceptions, they’re not fad wonder-drugs either. When used correctly, they produce results with little to no side-effects. Many nootropics are completely natural molecules, used by a wide range of people to improve their memory, focus and similar cognitive and physical functions. Also known as just Tyrosine, this substance is one of the non-essential amino acids that all humans need to live. Non-essential simply means the body can’t self-produce L-Tyrosine; it has to be ingested first. If you eat a diet rich in cheese this may not be a problem as cheese is the most common source of Tyrosine. However, those of us that aren’t fromage-friendly could benefit from taking an L-Tyrosine supplement. L-Tyrosine is a precursor to a multitude of crucial compounds including dopamine and adrenaline. 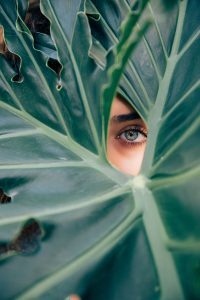 These two compounds have a vital role to play when it comes to concentration; dopamine is the reward molecule, synthesising more dopamine will lead to increased signaling between neurons – increasing the rate at which your brain can make decisions. 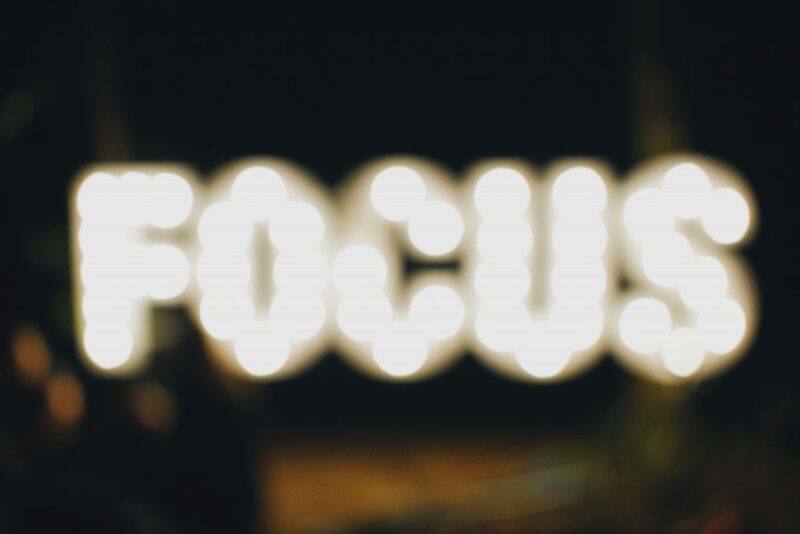 By creating slightly more dopamine than normal, Tyrosine may improve your focus and let you complete work with ease, faster than ever before. Studies have shown Tyrosine helps all groups of people, not just healthy individuals, improve their cognitive function by taking the supplement in tests. It even protects against mental decline; this molecule is a golden nugget of natural brain-enhancers. 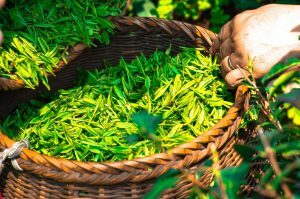 L-Theanine (another name for Theanine) is found in minute quantities in tea leaves, especially green tea. Why do people feel so relaxed after a cup of tea? Theanine might be the perpetrator. This amino acid has been used in the far east, inadvertently, for thousands of years as a natural nootropic as part of green tea. 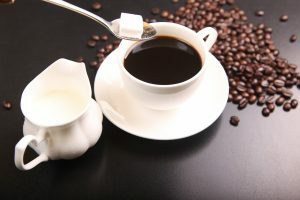 However only a trace of L-Theanine is present in a cup, so unless you have the time (and bladder) to drink literally thousands of cups of tea per day, you should invest in buying pure L-Theanine. Why choose Theanine over other natural nootropics? There’s heap loads of research that shows how and why this amino acid produces its health benefits. Because the Theanine molecule looks so similar to the human excitatory neurotransmitter, Glutamate, it mimics its effects. Glutamate controls how relaxed we are, so when enough Theanine is taken, you’ll become physically and mentally relaxed; although not too relaxed. You need to stay awake to get anything constructive done, so taking small doses regularly is probably a wise idea. Theanine is a great choice for de-stressing your work day. You may be more used to using this as an exercise supplement but creatine, another non-essential amino acid, is also scientifically proven to improve short-term memory and reasoning skills in healthy adults. Creatine’s physical effects are well-researched – in small, nootropic doses there are rarely any side effects and it can be taken as often as required for long periods of time. This makes Creatine an ideal product to buy in bulk and use daily. A 2018 study showed that people who took Creatine benefited from improved word fluency, attention and long-term memory as well as decreased fatigue. It’s no surprise this natural nootropic has been lauded as the next big thing in bio-hacking. Although it’s been used by bodybuilders since the 60s, the mental benefits have only recently been studied. As this is a well-known physical supplement, one minor side effect is increased muscle development. Improving your body and mind at the same time? Yes please! If you’re interested in a natural nootropic for long-term memory improvement, we strongly recommend Creatine. This tropical-sounding extract is about as natural as they come. Extracted from the roots of the Water hyssop herb that grows in wetlands around the world, this unlikely nootropic has been shown to have anti-neoplastic properties. This means it keeps your brain mouldable and efficient as you age, potentially preventing or slowing diseases such as Alzheimer’s and Parkinson’s. In other tests, it was shown that Bacopa Monnieri consistently reduced reaction time in participants. It won’t be a surprise when I tell you people been reaping its health-benefits for centuries in the far east. Bacopa Monnieri is an excellent natural nootropic. Multiple lab tests have shown it to reduce anxiety and improve memory in almost everyone tested. If you have a stressful test or interview on the horizon, purchasing Bacopa Monnieri capsules could be a great idea. It also seems to increase the levels of serotonin in the brain, meaning a noticeable elevation in mood for fans of this natural extract. Bacopa Monnieri’s long history of use makes it one of the best-understood and tested nootropics. The cognitive enhancement this substance provides is excellent – not strong or overpowering but still creating a noticeable boost in mental function. A wide range of companies currently produce pure Bacopa Monnieri extract or other products containing it, meaning there is a range of products on the market. You might be thinking “surely caffeine is the best natural nootropic…”, but you’d be wrong. Caffeine is the most widely used drug in the world, but it’s technically a stimulant and not a nootropic. It also produces small withdrawal symptoms when ingested regularly, something a true natural nootropic shouldn’t do. That’s not to say it doesn’t have its benefits – when taken alongside a real nootropic, the synergy between the two molecules can amplify the effects felt. Likewise, caffeine is still included in many nootropic stacks alongside L-theanine, which helps to mitigate its potential side effects. Caffeine has a time and a place, but investing in a true nootropic is a better idea in the long term. A stack is a pre-made blend of various nootropic and brain-boosting supplements. 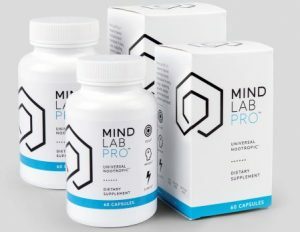 Mind Lab Pro is advertised as the first ‘universal nootropic’. It’s formulated to be an every-day, all-rounder of a product, improving focus and concentration. There are 11 hand-picked ingredients in the stack including vitamins like B6 and B9 as well as N-Acetyl-L-Tyrosine (NALT), L-theanine and Bacopa Monnieri. The Mind Lab Pro stack is ideal for professionals looking for a wide range of nootropic benefits, including needing some help with focus and concentration. Taking a ready-mixed nootropic is ideal for the time-conscious and busy. Not having to worry about spending valuable time carefully measuring out precise amounts of each substance each day is guaranteed when choosing a nootropic stack like Mind Lab Pro. Each product in the stack provides a unique contribution to the overall blend. The memory-sharpening Phosphatidylserine, coupled with the brain-supporting Citicoline along with the health benefits of 9 other ingredients makes this product an extremely useful nootropic for anyone in serious need of a motivational push. The Mind Lab Pro stack is pocket-friendly too as buying in bulk can net you significant savings. 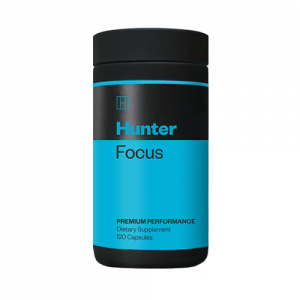 As the name suggests, Hunter Focus from Roar Ambition combines top-notch nootropic ingredients such as Bacopa, L-theanine and L-Tyrosine (available here as 200mg of premium form, highly bioavailable NALT) to aid your concentration. It also includes additional anti-anxiety nootropics such as passionflower and ashwaghanda, and a mix of long-term and short-term nootropic boosts such as Maritime Pine Bark, citicoline, Lion’s Mane mushroom and Phosphatidylserine. All in all, it avoids the stimulant route and prefers instead to focus on calming and relieving stress and anxiety. The theory being that you can concentrate and focus much more effectively if your mind isn’t racing and trying to do too many things at once. A strong nootropic for focus. If you were paying attention before, you’ll remember that creatine is often used to build muscle and boost exercise performance… which explains why its nootropic benefits would suit bodybuilders and athletes alike. So why vegans? The biggest source of creatine is in red meat and fish, so unless your vegan or vegetarian diet is 100% on point, you may be likely to be deficient in creatine. The good news is that you may experience even stronger nootropic benefits as a result of supplementation than non-vegans or non-vegetarians. There’s so much emphasis on creatine as an exercise supplement that it can be difficult to know the best way to add it to your nootropic stack. We would suggest ignoring all other various forms of creatine such as nitrate and malate and sticking to the more bio-available and effective creatine monohydrate in powder form. 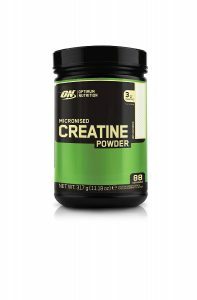 Our Recommendation: Optimum Nutrition’s Micronized Creatine Powder. Its micronized form, basically very fine particles of creatine, ensures it is absorbed quickly and acts quickly. It uses a Creapure version of creatine monohydrate, 99.9% purity, the best and highest quality creatine powder available today. No filler or pointless ingredients added. Most experts recommend between 3-5g a day to experience creatine’s physical and exercise-boosting effects, but we’d recommend about 5g a day to experience its nootropic ones too. ON’s Micronized Creatine Powder has a 3.6g serving size, but it’s easy to be generous with the scoop and use 5g. Dylan has researched and written about nootropics and supplements for numerous companies around the world. Educating the general public about the seemingly endless supply of newly-discovered wonder drugs and superfoods is an infatuation and passion, not merely a job for Dylan.